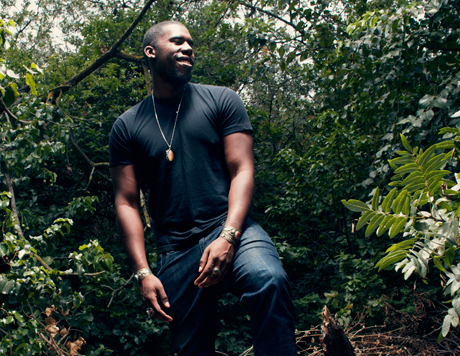 If you're reading this, Flying Lotus, we think you need to take a breather. In addition to work on a jazz record, a Captain Murphy album and an Aqua Teen Hunger Force theme song, as well as his contribution to an indie film soundtrack, news has surfaced that the experimental beatsmith will be heavily involved in the upcoming Grand Theft Auto V soundtrack. For those uninitiated with the wildly popular Rockstar Games series, Grand Theft Auto games come with numerous radio stations that can be listened to while you're running over old ladies and smashing up mailboxes in a stolen car. At a recent concert, FlyLo confirmed that he's been given his very own radio station in the game, which will likely include a ton of new material. Concertgoer FuzzyWuzzy told Reddit that he also offered up "a ton of new songs and information, including rapping a new Captain Murphy song produced by Hudson Mohawke." In addition to Flying Lotus, Grand Theft Auto V will also include a radio station helmed by Kavinsky. Taking to his Twitter, he confirmed that his station will be called NightRide FM. Grand Theft Auto V will be released on September 17 for PlayStation 3 and Xbox 360. Watch a trailer for the game below.